Securing a strong runner-up class result at the GP of Trentino, Outsiders Yamaha Official Enduro Team rider Loïc Larrieu has moved up to second in the provisional Enduro 2 World Championship standings. Putting together a consistent performance at the GP of Trentino, Larrieu claimed his seventh podium result for the season in the highly competitive Enduro 2 category. Featuring a mixture of three motocross races in the morning, four enduro tests in the afternoon and four extreme tests in the evening, round five of the 2018 FIM EnduroGP World Championship was a tough challenge for all competitors. Starting the weekend with a strong runner-up result in the short opening SuperTest, Larrieu went on to win two out of three motocross races contested on Saturday morning. Entering the second part of the race as the provisional overall leader, the WR450F mounted rider Larrieu was looking to continue his strong run of form in Italy. Suffering a few small mistakes in the remaining eight tests, Larrieu was able to hold onto a strong runner-up result in the Enduro 2 class. With three rounds remaining in the 2018 series the Frenchman is second and 31 points behind provisional Enduro 2 World Championship leader Alex Salvini. 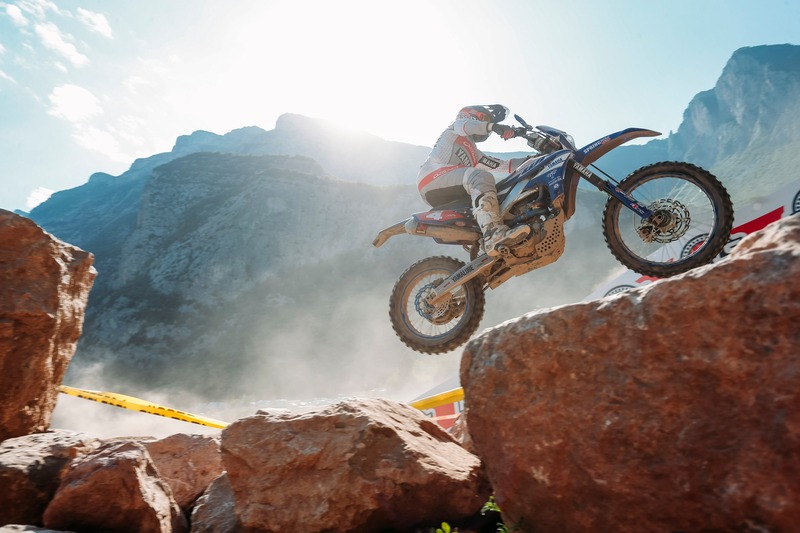 Loïc Larrieu and the Outsiders Yamaha Official Enduro Team return to action in Edolo, Italy for round six of the 2018 Enduro World Championship on August 31, September 2.